Disclosure: This post is part of sponsored campaign for The Sugar Goblin. I received compensation for the participation, but my review and opinions are my own. 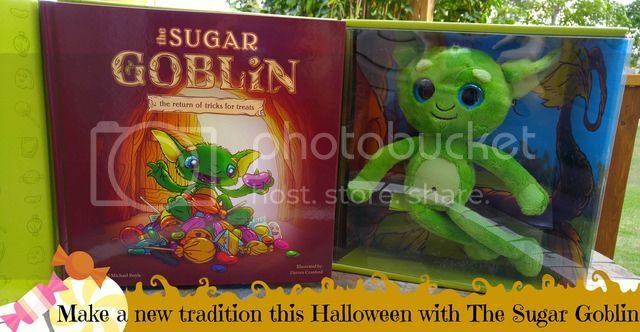 With Halloween fast approaching, now is the time to introduce the kids to a new family tradition with The Sugar Goblin. Kids love dressing up and trick or treating, but when you get home and look at all their loot, you see piles and piles of sugar. 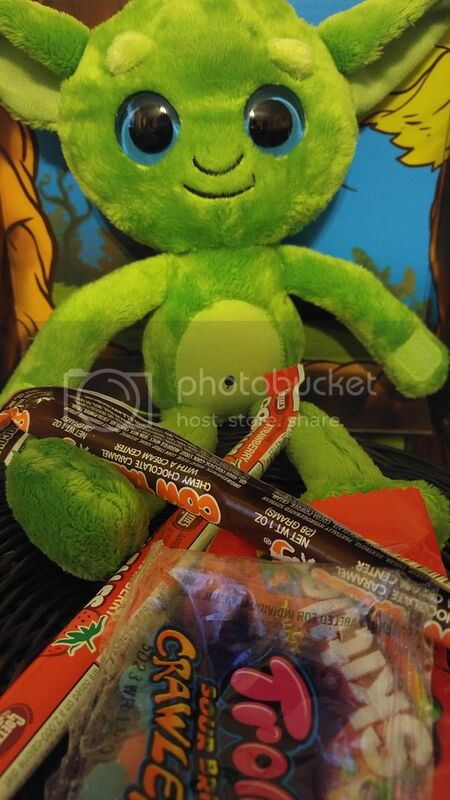 This story along with an adorable plush goblin will entice your kids to actually eat less candy this Halloween! 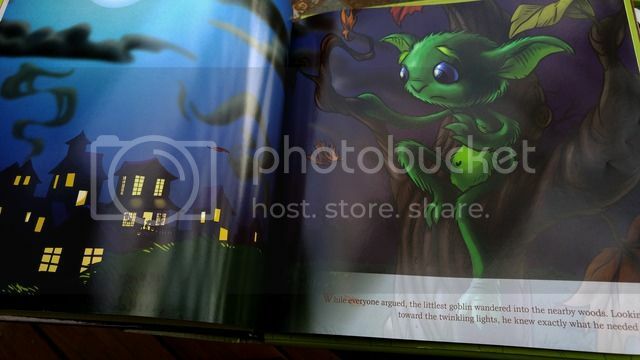 The Sugar Goblin story inspires children to leave their candy for the plush goblin. When they awake the next day the goblin will have taken the candy back to the Sugar Goblin village. In exchange for the candy, he will leave small tokens and even at times play pranks (parents leave behind a gift/prank on behalf of a sugar goblin)! The Sugar Goblin lives in a village that the main source of food is sugar. When there stash is running low, they must come up with a way to get more candy. Normally a stash would last from one year to the next, but as years went by, kids became more interested in the candy and less in the tricks, so the Sugar Goblins stash became less and less. While the other goblins argued, the littlest goblin wandered off into the woods and knew just what he had to do! He had to seek out more candy. Aimed at children 4-8, The Sugar Goblin inspires kids to exchange their candy for fun pranks and presents. Parents can invite The Sugar Goblin into their homes before Halloween begins and create their own tradition by organizing Sugar Goblin tricks, such as hanging pictures upside down on the wall, making faces on plates out of breakfast food or staging a tea party with stuffed animals. Need ideas for tricks? Head on over here and check some out and even upload some of your own! So why not start a new tradition this year and help to encourage less candy eating and in the process you save a goblin! A quarter of all candy bought in the United States is for Halloween. Your doctor and dentist will approve of you giving up your candy for the Sugar Goblin Village! 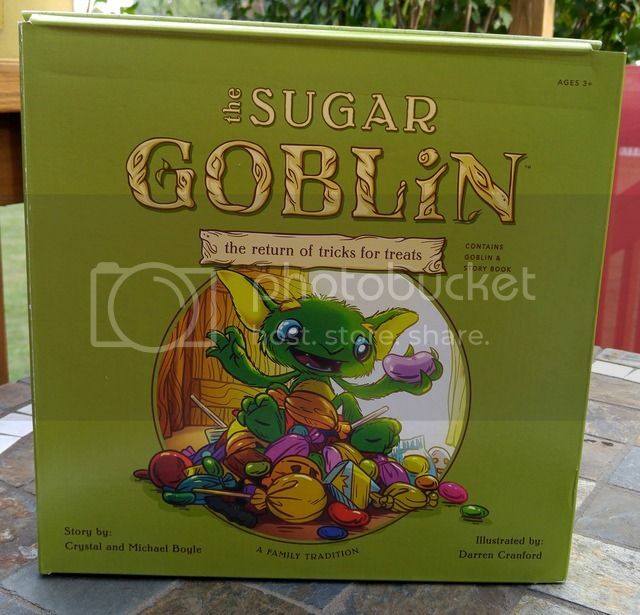 Purchase The Sugar Goblin: The Return of Tricks for Treats on Amazon for $29.99 & FREE Shipping on orders over $35.